Get ready to listen to Bryan Adams and Jim Vallance's first musical-theater score on a fancy pair of records! A special 2-LP red vinyl edition of the cast album to Pretty Woman: The Musical has been announced. The vinyl is now available for preorder and will be released by Atlantic Records on January 18, 2019. 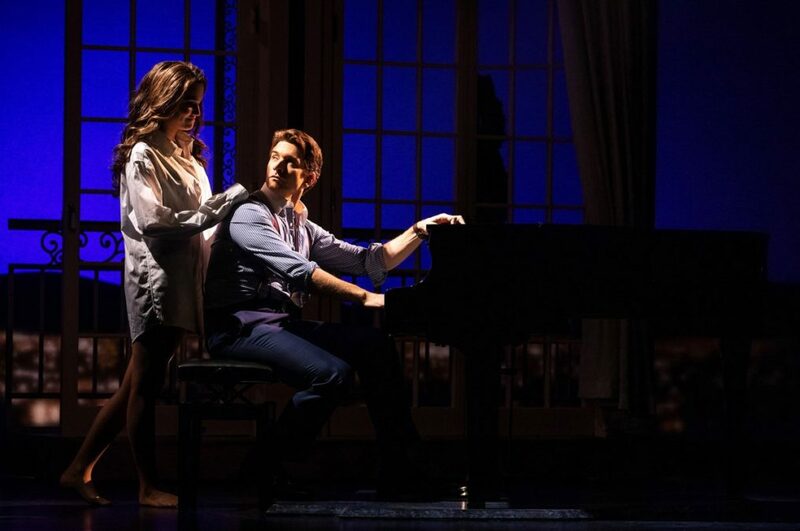 Based on the smash 1990 film, Pretty Woman: The Musical follows unlikely soulmates Vivian (Samantha Barks) and Edward (Andy Karl) who overcome all odds to find each other. The principal cast of the Broadway musical also includes Orfeh, Jason Danieley, Eric Anderson and Kingsley Leggs. With a book by J.F. Lawton and the late Garry Marshall and direction and choreography by Jerry Mitchell, the show features music direction, orchestrations and arrangements by Will Van Dyke. Pretty Woman: The Musical opened on August 16 at the Nederlander Theatre. The cast album to Pretty Woman: The Musical was released digitally on September 21 and on physical CD on October 26.